This is one of my favourite recipes. A good friend from university made it for me one day close to finals week. I remember it so vividly and so fondly because back in my room, there was a 5,000-word essay to be written and all I could think about was how I was going to sneak back to the kitchen for a third fajita! I made it again a couple of weeks ago for some close friends who came for dinner and we delightedly discussed the merits of peanut butter as an energiser vs. peanut butter as a treat vs. peanut butter as a replacement for common table seasoning (the consensus was: peanut butter is an excellent choice for all of these scenarios), while I danced around the kitchen moving spices from one surface to the other and snapping pictures. A number of coronas with lime carried us through to our late dinner. 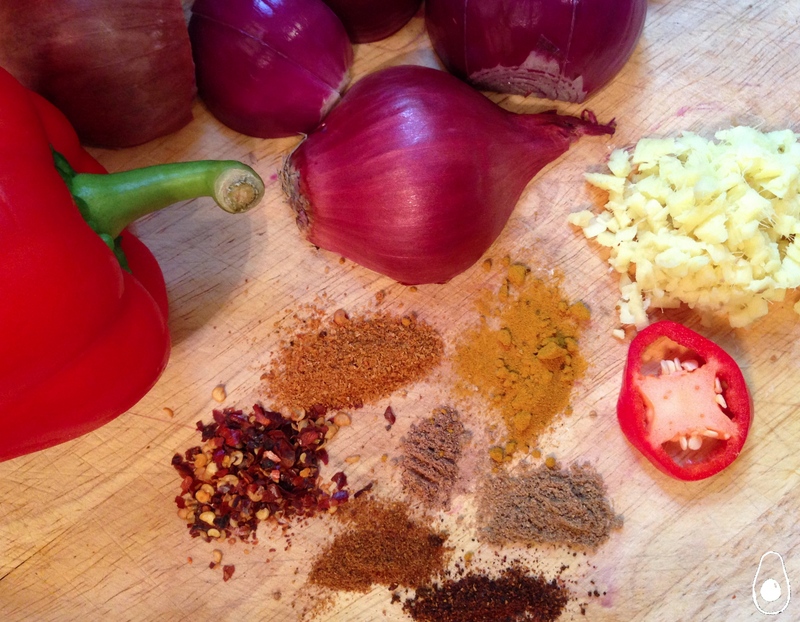 It doesn’t take long to make this – the longest part will be measuring out the spices and chopping up the ginger, onions and peppers. After that, it’s a matter of throwing it in the pan and getting your sides sorted. This was amazing for a dinner party because it was so DIY (and if there was ever a kind of DIY that I wanted to get involved in, it would be a peanut butter chicken fajita assembly line). I’ve mentioned guacamole and salsa to serve the fajitas with. I’ve fashioned up my own versions of both of these which went down a treat. Give them a try if you have the time – they’re fresh and both have a real bite. CB and I occasionally sit ourselves down with a bowl of each with some tortilla chips and call it dinner. It is extremely important that you accompany this with your favourite Mexican or adjacent drink (alcoholic or non-alcoholic), the easiest and most obvious of which is the coldest Corona you can get your hands on. 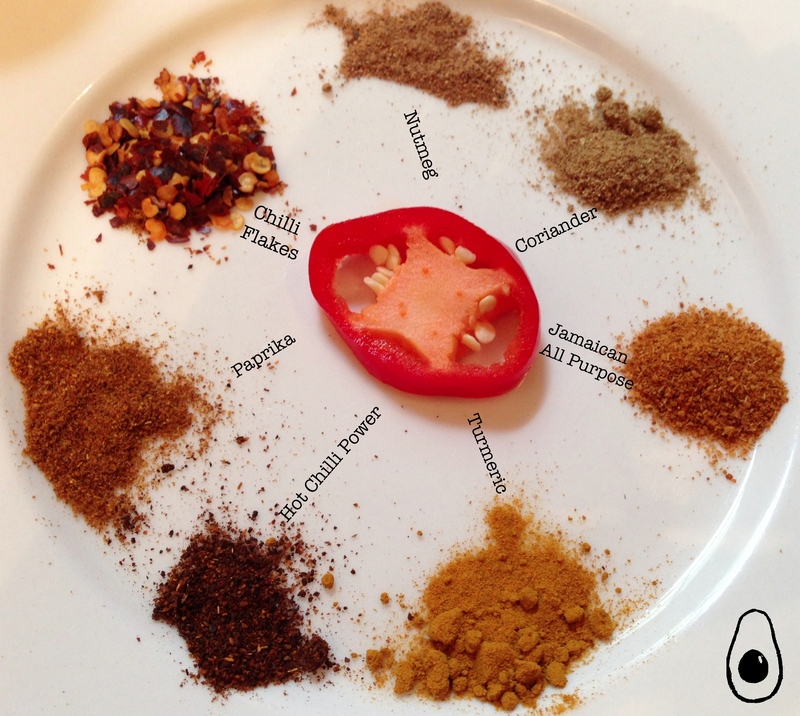 Mix the yoghurt, ginger, garlic and all of the spices in a bowl. Taste the mix and adjust the seasoning to your taste (I regularly add the juice of the whole lime but it depends on how citrusy you like your food). Set to one side. Gently fry the pepper and onion in a heavy bottomed pan for a few minutes until they have lost their bite but are still a little crunchy. Add the chicken pieces and let them brown for a further few minutes. Add the peanut butter/yoghurt mix, mix and let the mixture simmer on a medium-low heat for about 15 minutes. Take off the heat and stir in most of the coriander. As you serve the mixture on the tortilla towels, top with the last of the coriander. Dress the mixture with your favourite toppings before folding and devouring. 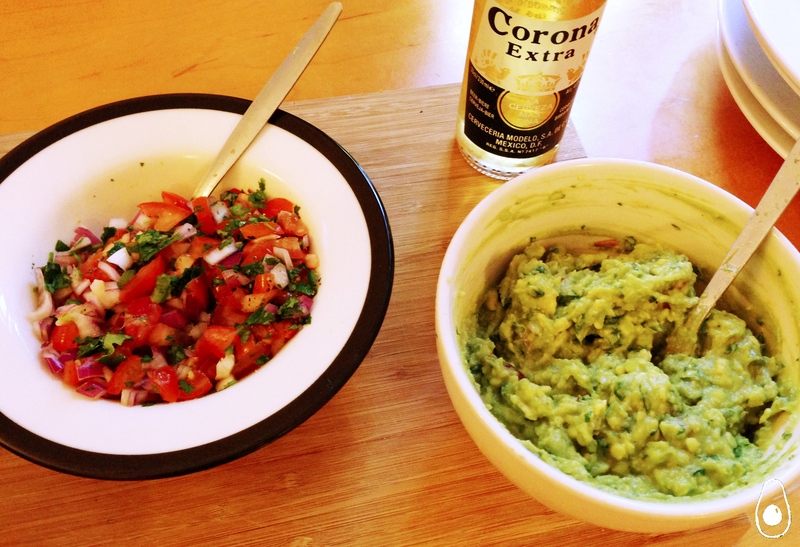 I’ve also crafted a recipe for guacamole and a simple tomato salsa, if you’re looking for ideas. Try using some leftover yoghurt instead of sour cream for a slightly healthier alternative! Happily sending this one over to The Weekend Social and Fiesta Friday! These fajitas just spoke to my heart! They look delicious! Again, thanks for coming and linking up at The Weekend Social. All posts get pinned in our pinterest board! Please be sure to come back next week starting Thursdays at 9PM EST on culinaryflavors.gr ! I hope to see you there! Peanut butter and homemade guacamole. I’m weak. Oh friend, believe me, I was too. Mandi, this sounds soooo good. 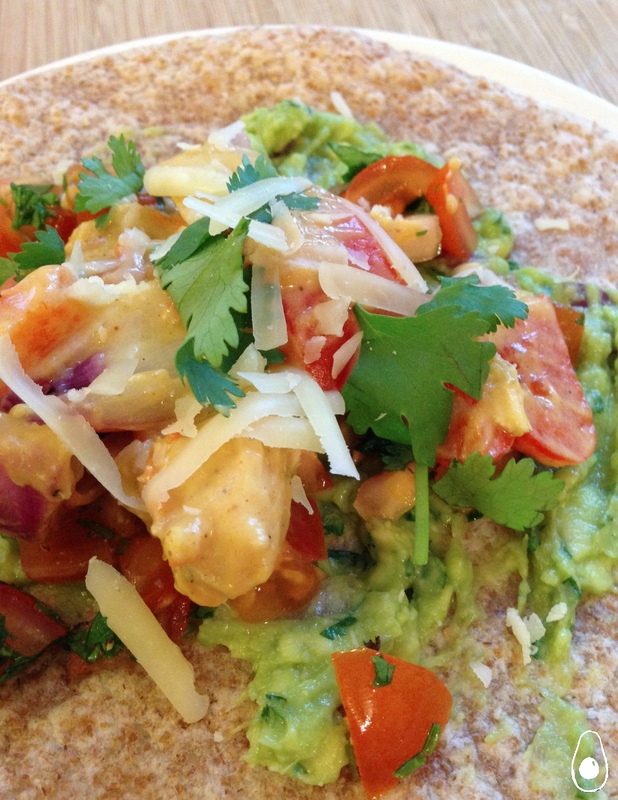 I love PB in savoury spicy food so I will be making this sooner rather than later! When I was in my twenties, a few of us would spend the odd evening in the pub next door to work and one of my favourite ahem, ‘meals’ when I would get home would be toast, spread with PB and sweet chilli sauce – that Thai dipping one…oh the fuzzy memories!! Thanks so much for bringing this to the party – Happy Fiesta Friday to you! Ah, the nuances of ‘meals’ in our youth…! 🙂 Thanks for your comments again Selma! Mexican food!! Delicious and great for night with beer! I want some fajitas!! Yum, these sound delicious! I look cooking with peanut butter, I am definitely going to have to try these! Sounds like I must have this now, Mandi! I love dishes with peanut butter and this looks really great. Thanks for sharing this and please allow me to have more than my share. 😛 Happy FF to you and have a lovely day! Have it ASAP!! It is such a joy, especially when you can enjoy it at the weekend 🙂 I always make more than I think I’ll need and it always finishes…the ultimate compliment 🙂 Thanks for stopping by Jhules! I wish I would have read your recipe before I marinated my chicken to make fajitas tonight. I shall try it next as I have lots of tortillas! 🙂 Peanut butter…yum! Ah….next time! Peanut butter cures all evils, am I right? 🙂 Do let me know how it goes! We consider ourselves fajita connoisseurs so it was a close run contest between your recipe and Old El Paso… We’re delighted to confirm peanuts won!